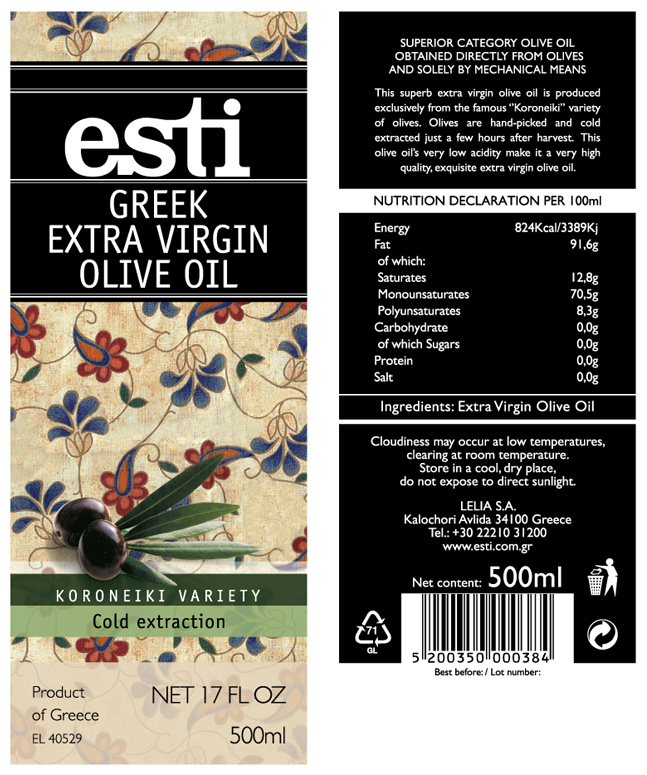 An Extra Virgin Olive Oil from Koroneiki variety of olives which grow in the abundant olive cultivarum of Mani, a region of Messinia, at the foot of Mt. Taygetos. Olives are handpicked from November until Christmas and their juice is extracted, just a few hours after harvest. This olive oil's very low acidity and rich content of polyphenols make it a superior quality, exquisite extra virgin olive oil. It has a deep, bright green color and a fruity, bittersweet taste which coexists with a soft essence of fruits, with a predominant apple taste. A premium Extra Virgin Olive Oil with Protected Designation of Origin (PDO), produced exclusively from Koroneiki variety of olives which grow only in Kalamata region. This superb olive oil, boasts unprecedented organoleptic characteristics some of which are its green color and the distinctive aroma of freshly-cut olives. It is this freshness of the olives combined with notes of apple taste, almonds and spices that make its aroma unique. 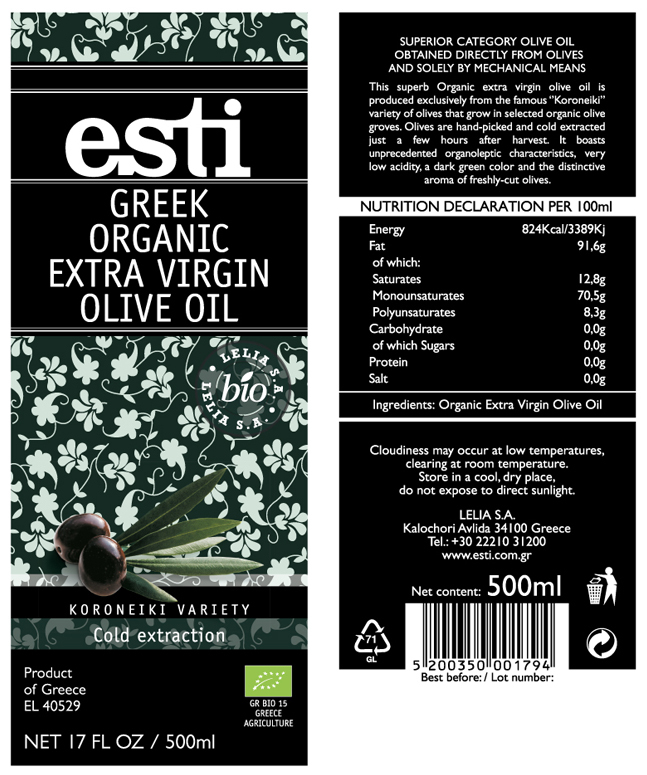 A premium Extra Virgin Olive Oil, produced exclusively from handpicked organic olives. Its bright green color, the distinctive bittersweet taste with the fresh aroma of various fruits make it just perfect. Its production is limited. 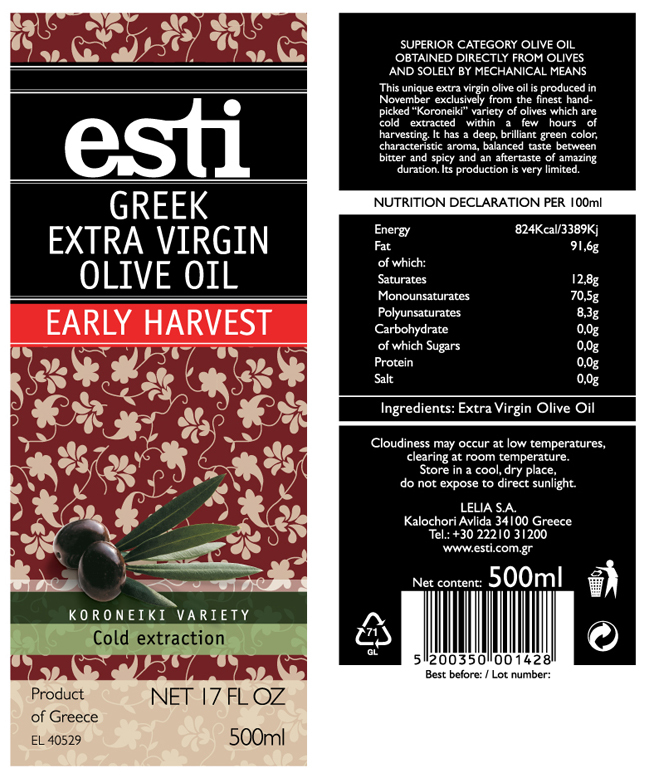 An exceptional Extra Virgin Olive Oil produced only in early November, from the finest handpicked Koroneiki variety of olives which are grown in a small mountainous village of Mani region in Kalamata and they are cold-extracted a few hours after harvest. It has a deep, brilliant green color, characteristic aroma, magical and balanced taste between bitter and spicy, leaving an aftertaste of amazing duration. Its production is limited. 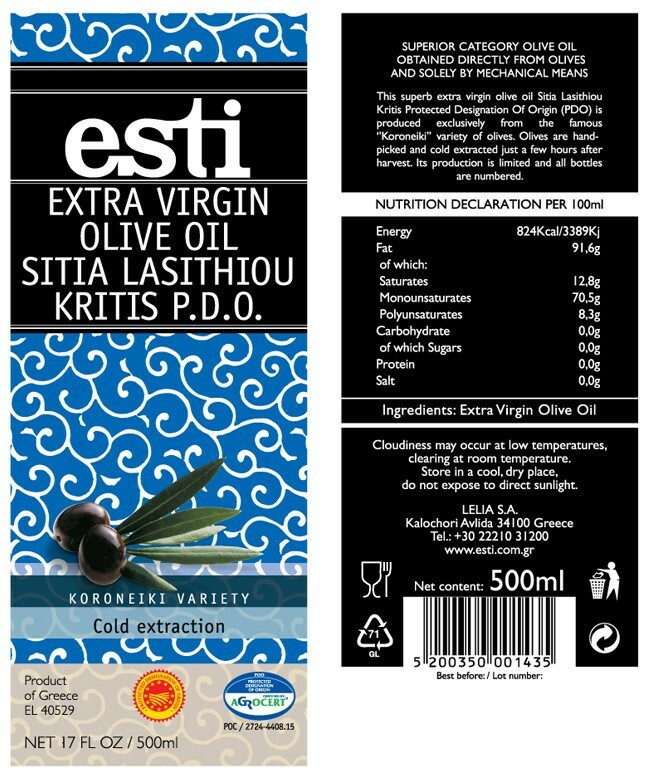 A premium Extra Virgin Olive Oil with Protected Designation of Origin (PDO), produced exclusively from Koroneiki variety of olives which grow only in Sitia region in Crete island. This superb olive oil is worldwide famous for its rich intensely fruity flavor. It is delicate, well-balanced while leaving a slight peppery aftertaste which makes it the perfect finishing oil. Its production is limited and all bottles are numbered.